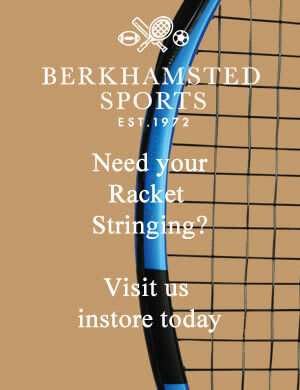 Welcome to the Berkhamsted Sports Ltd website terms and conditions for use. As a user of this website (referred to as “you/your”), you acknowledge that any use of this website is subject to the terms and conditions which have either been explained on this page, and/or explained on a page which we have hyper-linked from this page. e.g. Delivery Information, Returns & Refunds, International Orders. If you do not agree to be bound by our terms and conditions, you may not use or access this website. We reserve the right to change these terms and conditions at any time, without notice. Any changes will take effect immediately and it is your responsibility to re-read the terms and conditions every time you use this website. Continued use of the website indicates your acceptance of the latest terms and conditions. We reserve the right to refuse to accept an order. All orders placed are subject to acceptance. Acceptance of your order takes place when we dispatch the products you ordered. After placing an order, you will receive an e-mail to acknowledge that we have received your request to order from us. This e-mail is not acceptance or confirmation that your order will be fulfilled. We reserve the right to cancel any order, for any reason, at any time up-to the moment it is dispatched/accepted. For terms and conditions relating to payment and vouchers, refer to our Payment & Vouchers page. For terms and conditions relating to returns, refunds, exchanges, refer to our Returns & Refunds page.